Loudoun County Public Schools would like to remind you that we provide Microsoft Office to every student and staff member free of charge! With Office 365, your child will now have access to the latest version of Word, for writing; Excel, for spreadsheets; PowerPoint, for presentations; OneNote, for organization and note taking; and much more. You will need LEAD credentials (studentID@lcps.org) to sign in. Future downloads can be initiated by logging into the Office 365 portal at http://login.microsoftonline.com. Loudoun County Public Schools is not responsible for supporting or troubleshooting issues with personal devices. If you are having issues installing Office, please review the attached FAQ and guide located at http://aka.ms/Y0o21h for assistance. Being a student or staff member at Loudoun County Public Schools comes with many exciting benefits such as free access to Microsoft Office 365. Our Office 365 Enterprise licensing agreement includes the ability for staff and students to install the latest Microsoft Office software on up to five personally owned computers at no cost. Since the program announcement, over 8,000 staff and students have installed Microsoft Office on their personal computers. For more information about the availability and benefits of the Office 365 subscription, please visit https://www.lcps.org/Page/150449. What is new in Office 2016? Real time co-authoring improvements in Word and PowerPoint. Tell Me: Simply type what you want to do in the app using your own words, and then Tell Me will guide you through the process as well as offer additional resources. PowerPoint enhancements including new Morph transitions and automated slide Designer. For a more complete list of enhancements in Office 2016 review details here. Can I install Office 2016 on my LCPS issued computer? No. There are a number of LCPS systems and software applications that are closely integrated with MS Office. At this time, Office 2016 should only be installed on your personally owned computer. DTS is working on making Office 2016 available on LCPS issued devices at a later date. Can I install MS Office 2016 on my Personal computer? Yes. Installing Office 2016 on your personally owned computer is quick and easy. 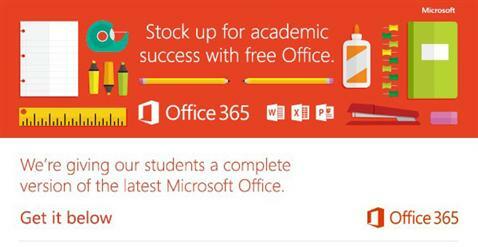 If you have already installed Office 2013, you will be prompted to upgrade. Simply click “Update Office” to install the latest version of Office. If you have not already installed MS Office, please follow the instructions here: Installing Office using Office 365 for business. Will Office 2013 automatically be upgraded to 2016 on my personal computer? No. If you have installed Office 2013 on your computer using your Office 365 subscription, you will receive the upgrade notification once available for your account. The upgrade downloads in the background and when complete you will receive a notice that the upgrade is ready to install. You may postpone prompt; but will be reminded on the next time you launch the application. There are no forced upgrades. An example notification is below for your reference. There are a number of online reference guides for the new versions of Word, Excel, PowerPoint, Outlook, and OneNote. These reference guides can be downloaded as a PDF or viewed in Sway. While LCPS is not responsible for supporting or trouble-shooting issues with personal computers, we are available to point you in the right direction if you have questions. The DTS Service Desk can be reached at 571-252-2112 , Monday – Friday, between 7:30am and 5pm.